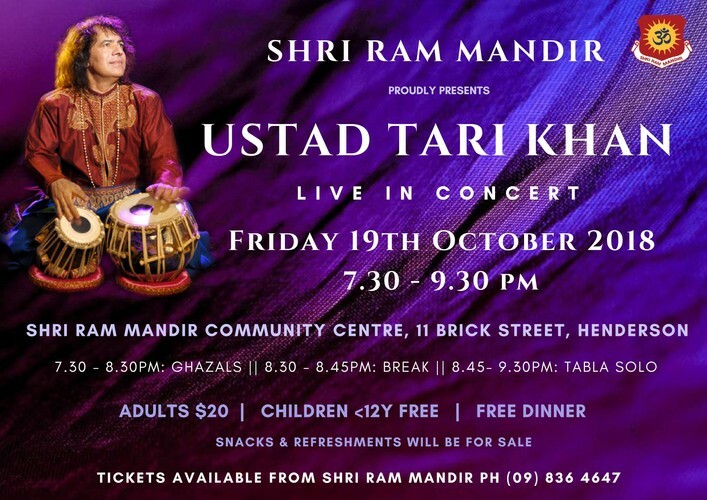 Ustad Tari Khan is one of the best Tabla Players in the World. Abdul Sattar "Tari" Khan (born 1953) is a Pakistani tabla player and vocalist. Tari Khan hails from the Punjab gharana and is the student of Ustad Miyan Shaukat Hussain Khan. He has been awarded many accolades such as Taj Poshi (Golden Crown), the Hazrat Amir Khusrow Award, as well as Pakistan's Pride of Performance Award (Pakistan's highest artistic honour) in 2008. Tari Khan belongs to the tabla playing gharana called Punjab gharana. He became famous as the accompanist of the ghazal singer Ghulam Ali as well as Mehdi Hassan. Tari always provided an exquisite accompaniment: clean, crisp thekas with astonishingly quick and interesting laggis to punctuate the verses. Because of this international exposure, musicians in India got to hear of him at a time when little cultural news escaped from Pakistan. Since then, Tari has gone on to the music scene as a tabla showman. Tari Khan has earned and has been awarded several titles in his lifetime. The titles and awards range from being crowned the Golden Crown Taj Poshi, the Hazrat Ameer Khusro Award, as well as Pakistan's Pride of Performance Award, which has earned him the title of Tabla Prince of India and Pakistan. Tari Khan has accompanied various classical artists like Pandit Jasraj, Ustad Nusrat Fateh Ali Khan, Roshanara Begum, Ustad Fateh Ali Khan, Ustad Salamat Ali Khan, Ustad Ghulam Hussain Shaggan, Ustad Sharif Khan Ponnchewale, Ustad Vilayat Khan, and Pandit Ramesh Mishra, to name a few. He has also accompanied renowned ghazal singers like Ustad Mehdi Hassan, Ghulam Ali, Jagjit Singh, Talat Aziz, and Hariharan, to name a few. He will sing ghazhals in the first half of the show and present tabla solo in the second half.